Work camp 2017 - Eco building contruction: Hemp, clay and sand! 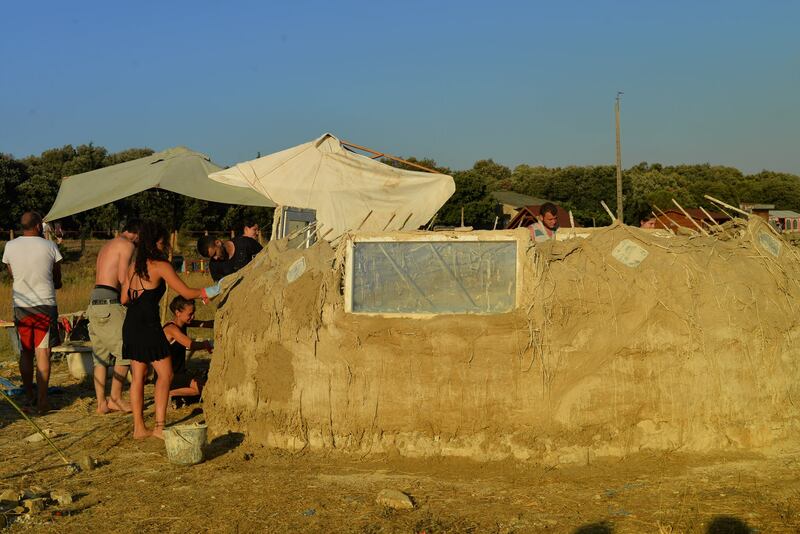 Every year Camping Le Belvedere is hosting an eco-building work camp – ten days living in an eco campsite together with a team from all over the world and learning how to build naturally. This year we learned sculpting and coating in order to finish the last years building, the House of Barbapapa. Finishing materials that we used are hemp, lime and clay. Natural materials that are easy to handle, perfect for sculptures and design. Building naturally is one of the best ways how to grow our independence together with creativity and healthy lifestyle, it all goes together. Workcamp is organised by IDC – Initiative et Développement Citoyen, organization that founded the campsite and works with sustainable development, international mobility and active citizenship projects. The main goal of having this workcamp is to boost learning by doing and spread the knowledge of natural building. Camping where the workcamp will take place is led with an eco-citizen approach. It is located in the south of France, right next to the medieval castle of Lastours and 20 minutes drive from Carcassonne. Watch the video below and stay in touch with us through our FB page or Instagram page.